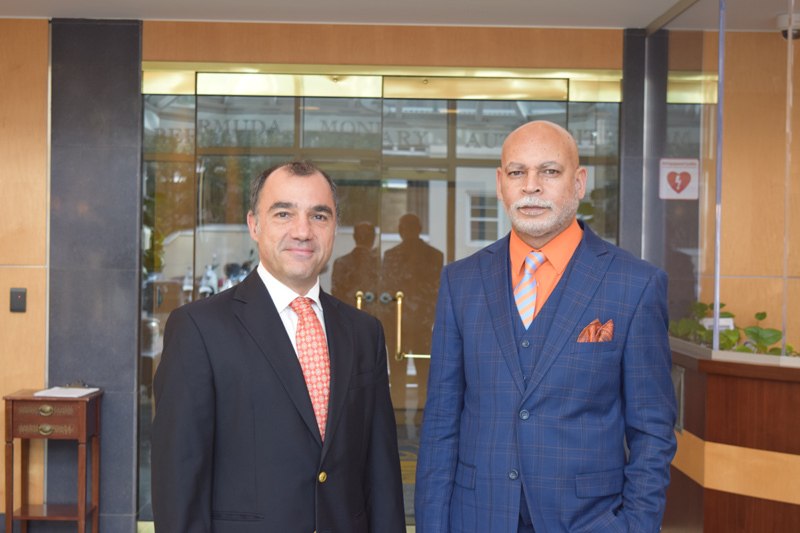 Two members of Bermuda Monetary Authority’s [BMA] senior management team will serve as Co-Vice Chairs [the first time at a Committee level] for the International Association of Insurance Supervisors [IAIS]. The Committees were created as part of a broad IAIS restructure aimed at adapting to emerging needs in global regulation and supervision. Craig Swan, BMA Managing Director – Supervision [Insurance], will Co-Vice Chair the new Policy Development Committee [PDC], chaired by Elise Liebers from the US National Association of Insurance Commissioners with fellow Co-Vice Chair Paolo Cadoni from the UK Prudential Regulation Authority. The PDC will largely be responsible for providing standard-setting responses to developments within industry structures, financial markets and business practices, as well as to policyholder needs. Dr Marcelo Ramella, BMA Deputy Director – Financial Stability, will Co-Vice Chair the new Macroprudential Committee [MPC], chaired by Alberto Corinti from the Italian Insurance Supervisory Authority with fellow Co-Vice Chair Steven Seitz from the US Federal Insurance Office. The MPC will focus on pursuing the IAIS’ high-level goal to steer and oversee financial stability work, including macroprudential assessment, and the mitigation of systemic risk in the insurance sector and potential policy measures. BMA CEO Jeremy Cox said: “Craig and Marcelo’s contributions in working with the IAIS over the years have enabled the BMA to strengthen relationships with insurance supervisors from other countries, and maintain Bermuda’s active and ever critical participation in the development of global insurance standards. IAIS is a global standard setting body which promotes effective and globally consistent supervision of the insurance industry. Bermuda was a founding member of the IAIS in 1994. Today, its membership includes insurance regulators and supervisors from more than 200 jurisdictions in nearly 140 countries.